William Porterfield thinks a few more runs on the final day could turn the tide in Ireland's favour. The seventh-wicket stand of 114 between Kevin O’Brien and Stuart Thompson took the advantage away from Pakistan on the fourth day of their Test against Ireland, Azhar Ali admitted. Starting on 64/0 on Monday 14 May after following on in their second innings, Ireland lost wickets in clusters to slip to 95/4 and then 157/6. Still 23 runs behind and with not a lot of batting left in the shed, O’Brien and Thompson defied the Pakistani bowling with some staunch defence. O’Brien finished the day's play unbeaten on a classy 118, while Thompson scored a crucial 53 before falling to Shadab Khan. “The partnership between Thompson and Kevin took the game away from us," said Ali. "Otherwise I think we had the game under control. "Credit should be given to the Irish players, the way they came back. They batted really well. Obviously, they are being challenged by a good bowling side, but the way they have played a composed knock, especially Kevin O'Brien after losing five-six wickets. He kept going and he took other players with him." "Our job was to try and bat all day, we’ve done that," said an elated Thompson. 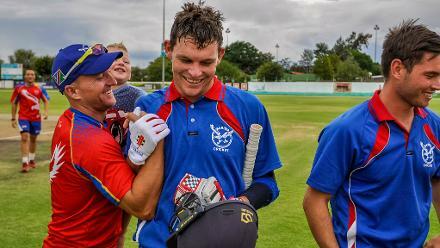 "For Kevin to be at 118* at the end of the day is absolutely brilliant. I just played second fiddle to him and tried to stay there for as long as possible. It was nice to get a few for myself. "Kevin and I were rotating the strike and picking up the odd boundary and they seemed a little frustrated, but they kept coming at us hard all day, we expect that from a team like Pakistan." 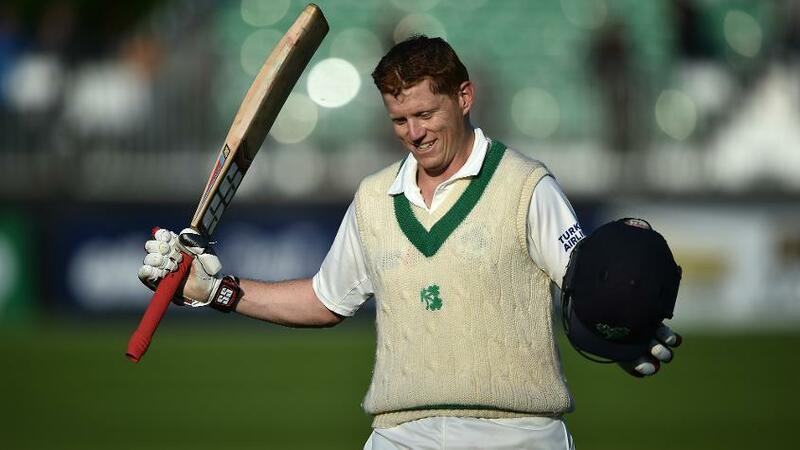 William Porterfield, the Ireland captain, was all praise for the duo’s maturity at a time when the “game was in the balance”. "To become the first Irishman to score a century, and in the first game is a pretty special moment," he said, of O’Brien’s knock. Pakistan, though, did themselves no favours on the field. As many as five catches were dropped in the innings, while the ground fielding was patchy as well. "If you drop catches, you give chances to the other team, it bites you back," lamented Ali. "The way our bowlers bowled today, especially in the first session, they got the game back in our hands." When stumps were drawn at Malahide on Day 4, the hosts were 319/7 and led Pakistan by 139 runs. Thompson was hopeful that if Ireland could get a few more runs on the fifth morning to take the lead close to 200, and with the pitch playing tricks, things could get interesting. "Three or four balls stayed quite low and went under Kevin's bat in the last over so hopefully it does get a bit up and down tomorrow," said Thompson, who himself returned a three-for in the first innings. Porterfield echoed his teammate. “Obviously a few more runs would be nice, and we'll have to bowl really well, but we are in a position where we’ve got a chance," he said. "If we get a few runs in the morning and get the lead past 150-160, then anything can happen from there." 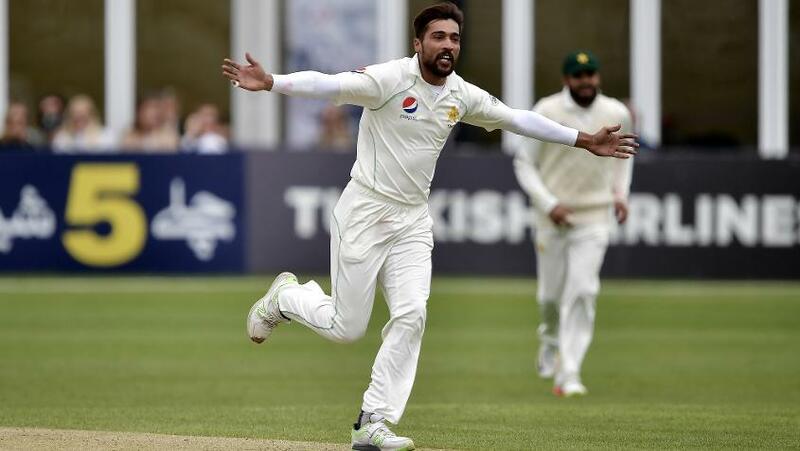 Fast bowler Mohammad Amir has been omitted from Pakistan’s 15-man preliminary squad for the ICC Men’s Cricket World Cup, but has been included for their ODI series against England.